Although static values work great for prototyping, in the real world, you are most likely dealing with custom values which are set while passing through various modules at different levels. 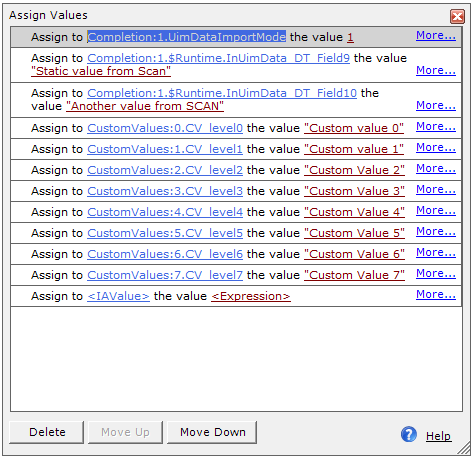 Just like in 6.5, where you could map the custom values to the respective index fields through Index Module settings, in 7.5 you’d set the custom values to the document type associated to the process through the Assign Values dialog. 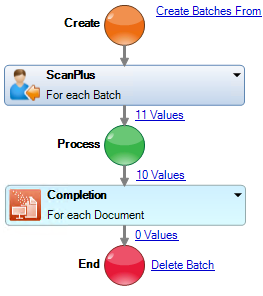 Let’s define an attribute for document type to help define a simple use case. The idea is to use a custom value that would be manipulated earlier in the process through different module (OCR, Barcode, or dotNET etc.). To make this slightly more interesting, let that have happened at level-6 (document type level being 1). 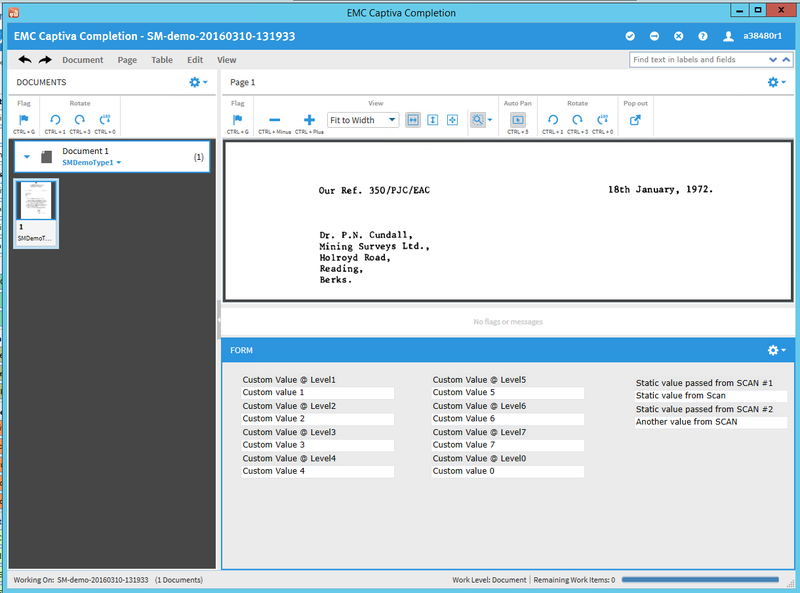 Meaning, a custom value on level-6 which carries a value that needs to be passed to the Completion module for the Index user to review and accept. Now, to present the Index user in Completion module with the custom value, we simply assign the custom value @ level-6 to document type attribute @ level1 that we defined earlier, keeping in mind that DT_Field1 is the field where the Index user is expecting to see this value. 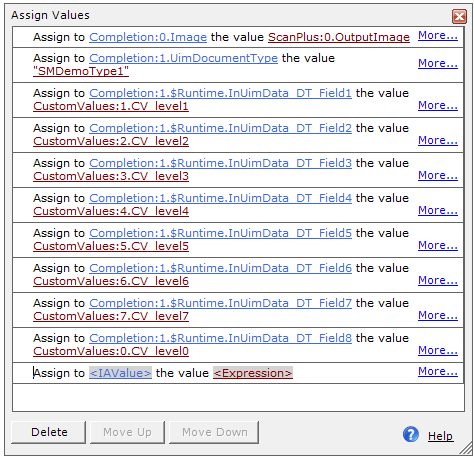 Assign to CustomValues:7.CUSTOM_PC_01_NUMERIC the value “SOMETHING” is working like a charm! BTW it is a great tutorial! It’s that simple, really. I presume you set the UimDataImportMode before you assigned the value. Additionally, (I don’t have access to the system with me right now), if you look at the values batch values, you should be able to see the entire UIMData string… and I’d be curious to see if the uimdata has the value in the first place. Good luck.